Showing results for tags ' march'. 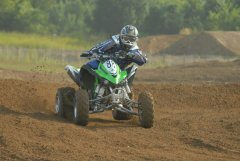 March 2010 ATV Photo Contest Vote! March 2010 ATV Photo Contest! March 2010 ATV Photo Contest Theme: "Oldest/Outdated Looking Ride" with your ATV, 3 wheeler, or UTV." "Oldest/Outdated Looking Ride" is basically any ATV, 3 wheeler, or UTV that looks/is old or outdated. We want to see those old/outdated pics! Dig out your early quads or used quads you've bought that look old/outdated. Got an old quad from the 80's? Got an old pic of your first quad or trike? Is your current quad an old looking mess? Whip it out and post it up, maybe you'll win! * Does not have to be your machine, but you must have ownership to the photo, consent from the owner of the machine to photograph it, and permission to use it on www.quadcrazy.com. Prize: $25 Gift Certificate to Rocky Mountain ATV/MC & UTVOffroad Magazine (1 year subscription) Rules: Submit your "Oldest/Outdated Looking Ride" with your ATV, 3 wheeler, or UTV." by entering it with a post, into this thread. (If you are not familiar with how to do this, visit the Learning Center) One photo per member allowed, so make sure it's a winner. You may submit photos that have not won past contests. Photos can be of yourself or taken by you. You may not submit photos that you do not have ownership of or permission to use. Any violation of these terms will result in disqualification. NOTE: You MUST have a minimum post count of 10 to enter into the contest! We would like to see participation in our forums from all members who enter the contest. Last day to enter a photo is March 27th. Voting will take place for the last 4 days of March to determine the winner. Voting will end March 31st and the winner will be announced! Good Luck! March 2009 ATV Photo Contest Theme: "Your Favorite Riding Spot" with your ATV, 3 wheeler, or UTV. Prize: QUAD Magazine and UTV OffRoad Magazine subscriptions! *Magazine subscriptions can only be sent to US and Canadian residents. 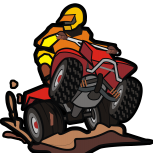 Please visit our sponsors QUAD Magazine and UTV OffRoad Magazine Rules: Submit your "Your Favorite Riding Spot" with your ATV, 3 wheeler, or UTV photo by entering it with a post, into this thread. (If you are not familiar with how to do this, visit the Learning Center) One photo per member allowed, so make sure it's a winner. You may submit photos that have not won past contests. Photos can be of yourself or taken by you. You may not submit photos that you do not have ownership of or permission to use. Any violation of these terms will result in disqualification. NOTE: You MUST have a minimum post count of 10 to enter into the contest! We would like to see participation in our forums from all members who enter the contest. Last day to enter a photo is March 27th. Voting will take place for the last 4 days of March to determine the winner. Voting will end March 31th and the winner will be announced! View Past Contest Winners Good Luck! March Photo Contest - Vote! 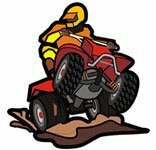 March Photo Contest Theme: "Going Through Water" Prize: $50 Gift Certificate to Rocky Mountain ATV Rules: Submit your "Going Through Water" ATV photo by entering it with a post, into this thread. (If you are not familiar with how to do this, visit the Learning Center) One photo per member allowed, so make sure it's a winner. You may submit photos that have not won past contests. Photos can be of yourself or taken by you. You may not submit photos that you do not have ownership of or permission to use. Any violation of these terms will result in disqualification. NOTE: You now MUST have a minimum post count of 10 to enter into the contest! We would like to see participation in our forums from all members who enter the contest. Last day to enter a photo is March 27th. Voting will take place for the last 4 days of March to determine the winner. Voting will end March 31st and the winner will be announced! View Past Contest Winners Good Luck!